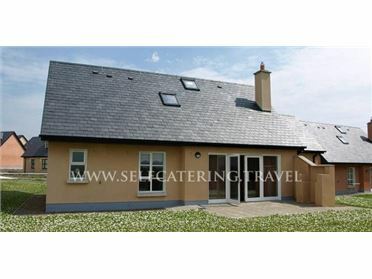 Mountain View Cottage is a charming detached cottage situated in 2.5 miles from the small village of Campile, County Wexford. This cottage sleeps seven people and has three bedrooms consisting of one ground floor twin, one twin and one family room with a double and single as well as a two family shower rooms, one on the ground floor and one on the first floor. The rest of the cottage is made up of a shared garden with furniture and off road parking for 2 cars. Mountain View Cottage is ideal for families and friends who wish to explore this wonderful area. The small village of Campile boasts the Dunbrody Abbey ruins, a tree hedge maze and a cookery school. Close by is the JFK Arboretum and the Hook Peninsula. Duncannon with its sandy beach is within easy distance and the city of Waterford is well worth exploring. Known as the Â“Sunny South EastÂ”, the counties of Wicklow, Wexford, Waterford, and Tipperary offer everything you could need for a dream holiday in Ireland. Miles of sandy beach and scenic drives taking in mountains and coast are on your doorstep..